Minibus Media is a video production- and communication-consultancy created in Germany in 2004, focused on the field of social development. We aim at using communications as a tool to civic activism and human empowerment. Our Minibus has already driven to Angola, Brazil, Germany, Malawi and Mozambique, working with Non Governmental Organisations, individuals, civil society and international donors. Our mission is to empower individuals and civil society organisations in the promotion of human rights through the conscious use of communication methodologies. A world where the human rights of every individual are respected and freedom of expression is experienced by all. Our team consists out of a multicultural group of communication and multimedia experts, based in Berlin (Germany) and in Rio de Janeiro (Brazil). Together we bring more than a 100 years of experience into the work of Minibus Media. What is most important to us is the spirit to remain open minded and to enjoy creating something meaningful with new and different people and projects from all over the world. 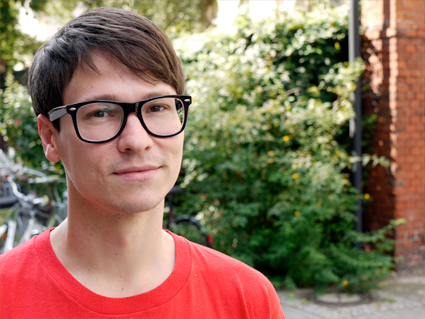 H.-Christian Goertz is a Berlin documentary filmmaker, educator and founder of Minibus Media with more than twelve years of experience in the implementation of more than 65 media workshops. During his three-year travel in South-East Asia (2001-213) he began conducting several photography workshops at universities in Indonesia. Within his development work in Malawi in 2004, he later on conducted several educational video-and radio-projects, which led him to the production of his first feature documentary film. "The Making of a President," was awarded by the Black International Cinema Berlin with the Special Acknowledgment Award which inspired him to produce one year later, "..and the struggle still continues " -this time about the presidential elections in Mozambique. Realizing the potential of educational video-production for development, he and his partner Mirella Domenich founded, Minibus Media. 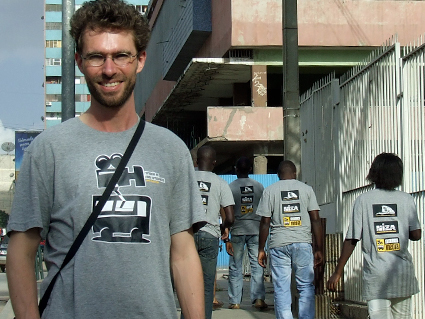 Ever since he has taught participatory video-and photography-classes to activists in Africa as well as students in Berlin. Next to this he lectures at diverse public institutions on the topic of media and communications. Mirella Domenich is a Brazilian journalist with an MA in International Relations and Development Studies, an MBA in enterpreneurship and a post-graduation in Human Rights. 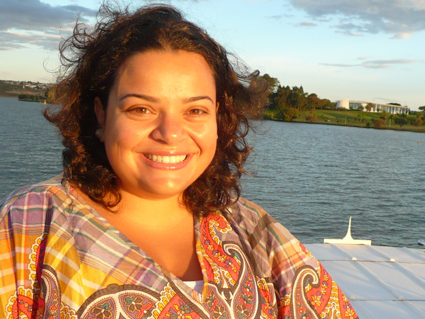 She is currently member of the Advisory Civil Society Group to the UN Women in Brazil. Co-author of the book “Hip Hop – A periferia grita” (Hip hop – the ghettos rap at you), she has worked for the main media outlets in her country. Mirella also directed the documentaries about the presidential elections “The Making of a President”, in Malawi, as well as “And the struggle still continues…”, in Mozambique. She has lived in ten countries, having worked as a volunteer in three of them (Brazil, USA and Mozambique). For the last 12 years, she has been working with Minibus Media, dedicating her activities to edu-communication and capacity building programs in Africa and in Brazil. Maria Goeres is a sound-designer, vocal coach and musician with a master degree in general and music ethnology. 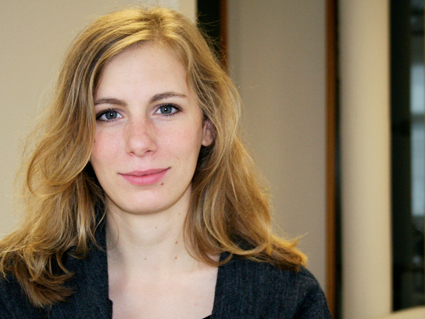 She is producing and editing audio material, music and sound effects for documentary films a well as for websites. Specialized in the field of vocal research with emphasis on the sound analysis, she uses techniques to modify the sound of human voice. As ethnologist, she especially considers the cultural setting of the documentary film or video material for achieving the most authentic results. 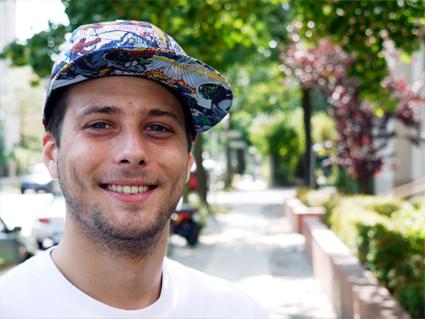 Niels Hillner is Minibus Media graphic designer. Born in Germany, he studied in Italy at the renowned "Istituto Statale d`Arte Pescara", focusing his studies on typography. Afterwards he specialized himself in Communication Design at the Design Academy in Hamburg and in Berlin, where he graduated in 2002. Niels has vast experience in the advertising and publishing industry . 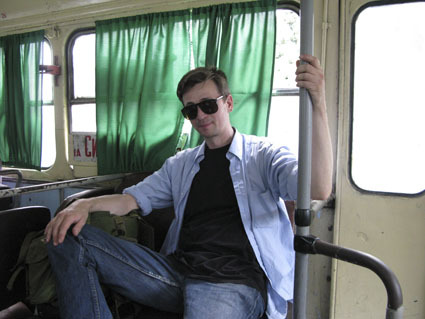 Since 2006, he plays an important role in the development of graphic design material for Minibus Media. Marius was already interested in music since his early childhood. At the age of five he began playing the drums and was involved in various bands of different musical genres throughout the following years. Since 2001 he opened his own recording studio and produces music for a variety of different artists and genres within the music and film industry. Oliver has been involved in the multimedia industry since the 1980s as a writer and became familiar with various tasks within the press world before he established himself as a photographer. Since 1995 he has been working as a freelancer for magazines such as "Der Spiegel", "Style and the family tunes", and "Das Magazin".